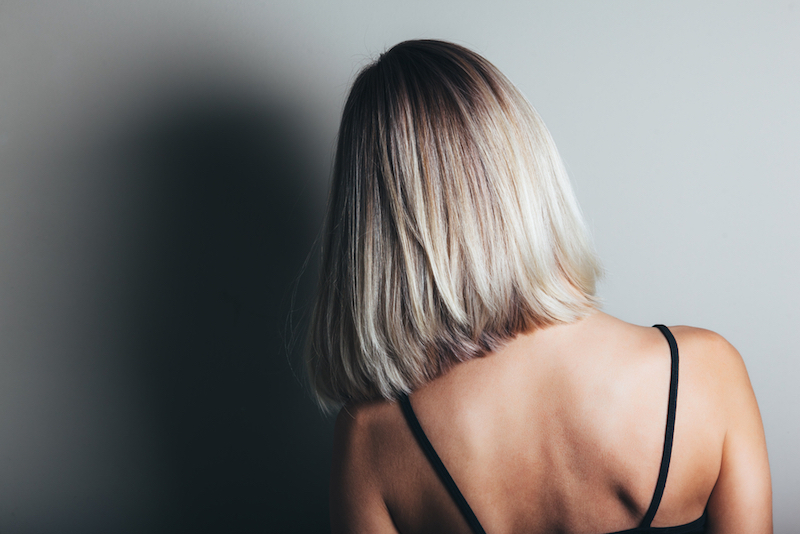 If your hair is medium length and you are looking to come up with some creative hairstyles, then maybe you should consider shoulder length hairstyles. You can use your inner creativity to come up with a style to spice up your look. In most cases, women with mid-length hair find it difficult to come up with a style that matches their face shape, hair type, and lifestyle. If you are looking for the best shoulder length hairstyle, it is best to start researching different shoulder length styles of women with the same face structure and hair type as you. You can always find unique ideas you can use to enhance shoulder length hairstyles. Here are a few common ones that are easy to create. A messy look can bring out your vivacious personality! With shoulder length hairstyles, you can style them with a messy wave. All you have to do is to create pincurls by twisting two small sections of hair. Create a small loop by wrapping the twisted hair between the thumb and forefinger. Continue to roll the twisted hair upwards in a spiral until you reach your head. Place one bobby pin in semi-vertically. Make sure that you have secured the twists firmly before placing the pin. Next, place a second bobby pin in semi-horizontally toward the twist, making an X shape. Repeat with the rest of the hair until the entire head is pinned. Take down the hair, finger comb, and tousle the hair to complete the style. It is one of many shoulder length styles that looks good on medium length hair. It is one of the most popular shoulder length hairstyles that is definitely trending and you will notice that lots of celebrities are sporting this look. If you want to achieve a bob style with messy waves, then you will have to start by creating some curls on each side. You can use a wand facing down to create the curls. You do not need to section your hairs for this particular hairstyle. After you finish curling, rub hairwax onto your fingers and run it through the hair. Once you have finished waxing your hair slightly, you can back-comb it and spray the ends with hairspray and voila! Another popular and easy to achieve shoulder length hairstyles is a big top knot. If you are looking for a cute and polished look, this can be the perfect style to sport. You do not have to go through a lot of time and effort in creating an amazing look for your hair. All you have to do is to wind the hair right from the middle into a bun, making sure that you have combed it properly before bunning. Once it is done, you can comb the hair to set and let it be. It will give you a polished look for shoulder length hair. You can also bring in other styles with a big top knot. If you want to create a messy or wavy look with a big top knot, then you can easily style the hair accordingly.